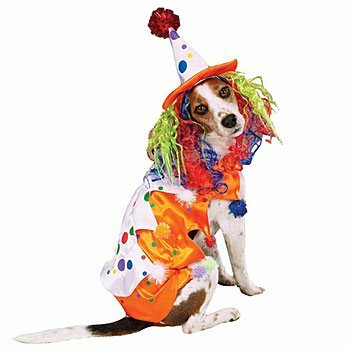 Funny clown Halloween outfit is made of tri-color satin with a ruffled collar and pointed clown hat with a pom-pom. Show off a pet's sense of humor with this cute dog costume! Includes a clown hat and multi-colored wig!